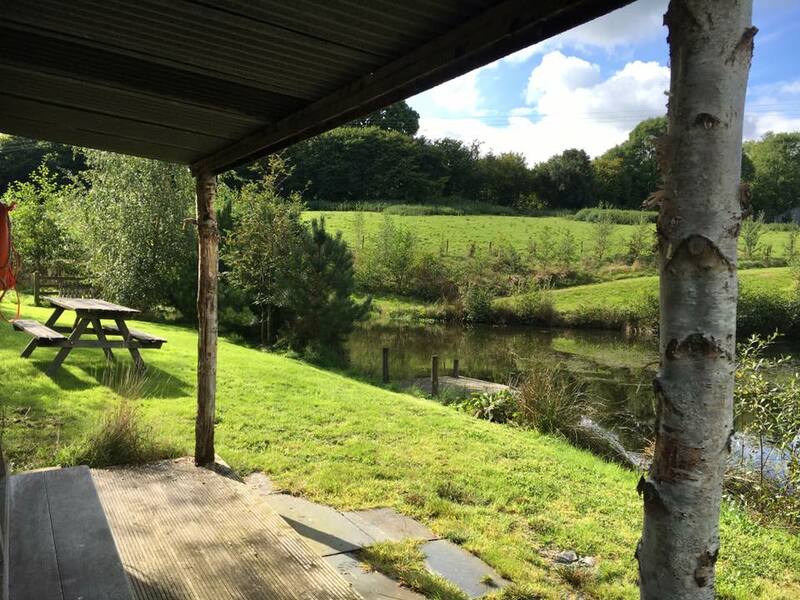 Join Diana for a weekend yoga retreat in rural Wales. There are few parts of the British Isles to rival the unspoiled and natural beauty of Wales – and this venue has the perfect combination of a delightful location, great facilities and accessibility. Garth Barns, managed by the experienced folk of Huzur Vadisi, is only 3½ hours from London and 2½ hours from Manchester or Birmingham by road or rail, yet this venue seems a world away. Set deep in rural Wales, amongst the rolling green hills surrounding the historic and pretty town of Llanidloes… a place that time seems to have forgotten. 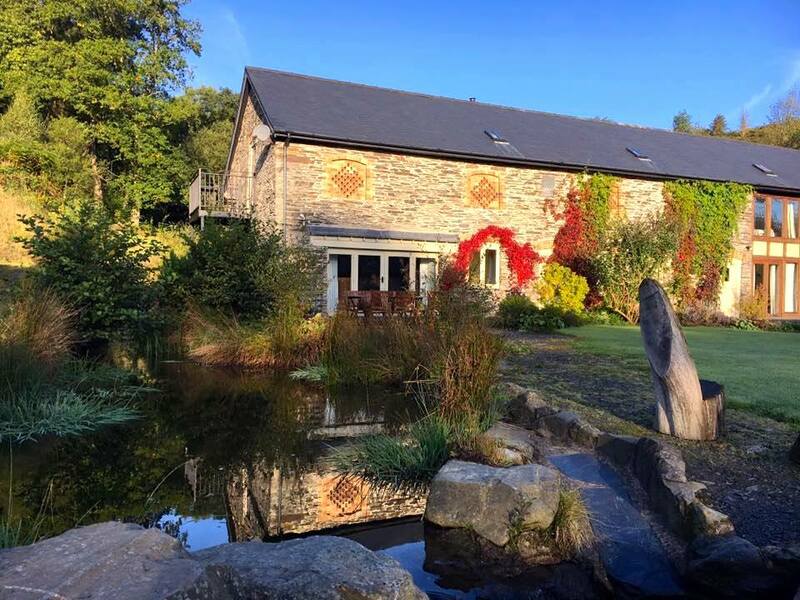 Do what you enjoy and feel wonderful after this three-night Hatha Yoga retreat in glorious mid Wales. Autumn can be a magical time of year in here – mellow and with beautiful warm colours. 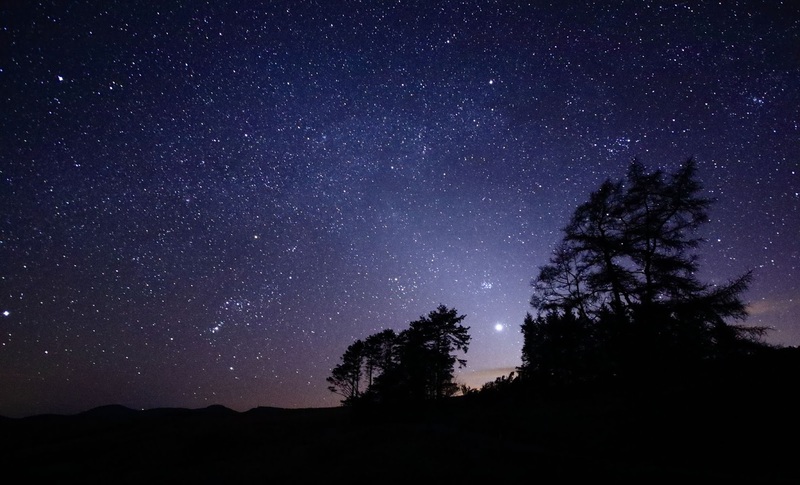 The sky dark at night lit only by the cosmos of stars, the green hills peaceful and welcoming. This yoga weekend is a perfect opportunity to slow down and take time out for yourself. Time away from busy schedules and responsibilities. The retreat co-incides with the Libra new moon on Saturday 28th September – a great time to take stock of how far you’ve travelled, the challenges you’ve overcome, and to look at the road ahead with optimism and excitement. As we join in traditional yoga practices together, it’s time to press the pause button, re-calibrate, meditate on the natural beauty around us and spread the love, peace and harmony in any way we can. You deserve some special time out, and a little self-love will go a long way in energising us for the days ahead. Feel fabulous with rejuvenating yoga – gentle yet powerful, walks in the hills, massage, sauna, nourishing food, and the friendship of like-minded people. This time will be a reminder to attune to your authentic Higher Self and to be present. Relax and rest, centre yourself through asana practice. 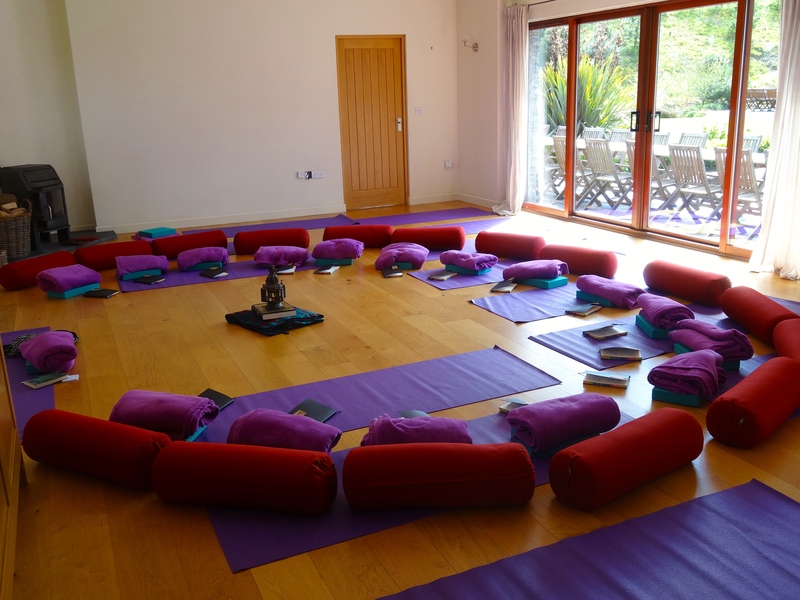 Connect to your inner wisdom through meditative yoga, breath work, visualisations and Yoga Nidra. Connect to your heart and spirit, and a natural re-calibration of yourself and your life will take place – effortlessly! 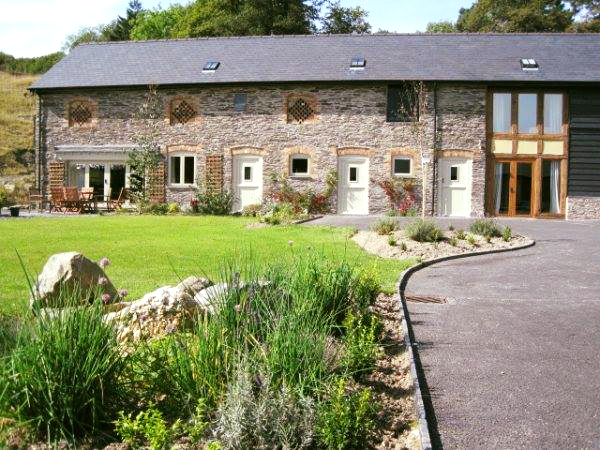 Our weekend venue is in two beautiful barn conversions, adjacent to the traditional farmhouse. Warm and super-cosy with wood-burning stoves and underfloor heating throughout, this is a true eco-retreat: the heating is from renewable biomass and drinking water is from the farm’s own pure spring water source. The barns are grouped around the old farmyard now a charming space with gardens, a stream, and an outdoor dining area for warmer days. There is a comfy sitting room. Also a gym, Finnish sauna, a lovely natural swimming and boating pond and a camp fire area with log seating. Enjoy a healthy balanced and varied vegetarian diet on this retreat – served buffet-style so the you can select from a choice. Vegan, gluten-free or lactose-free options can be accommodated. Enjoy a large, healthy breakfast after morning practice with a choice of fresh fruit, muesli, yoghurt, eggs, porridge, pancakes etc. Teas, coffee, biscuits and fruit are freely available throughout the day. A delicious freshly-prepared lunch and dinner is provided each day, with plenty of vegetables, salads, and soup. All rooms will be warm and cosy whatever the weather as there is underfloor heating throughout. 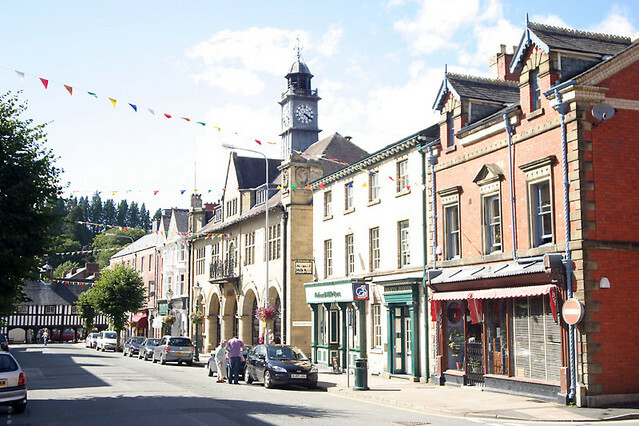 Just a couple of miles from our yoga retreat, the pretty town of Llanidloes often features in the top-ten best places to live in Britain. It is picturesque and sleepy with lots of characterful, small independent shops and a historic half-timbered market house. Even the local railway station is adorable! Llanidloes is one of the great little market towns of mid Wales. 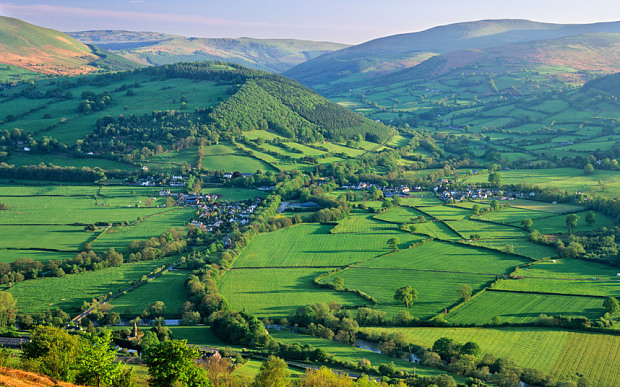 Set amongst rolling hills, it is at the heart of the ancient medieval kingdom of Arwystli, the first town on the River Severn and gateway to the Cambrian Mountains. Spend a few days or longer here and you may never want to leave! 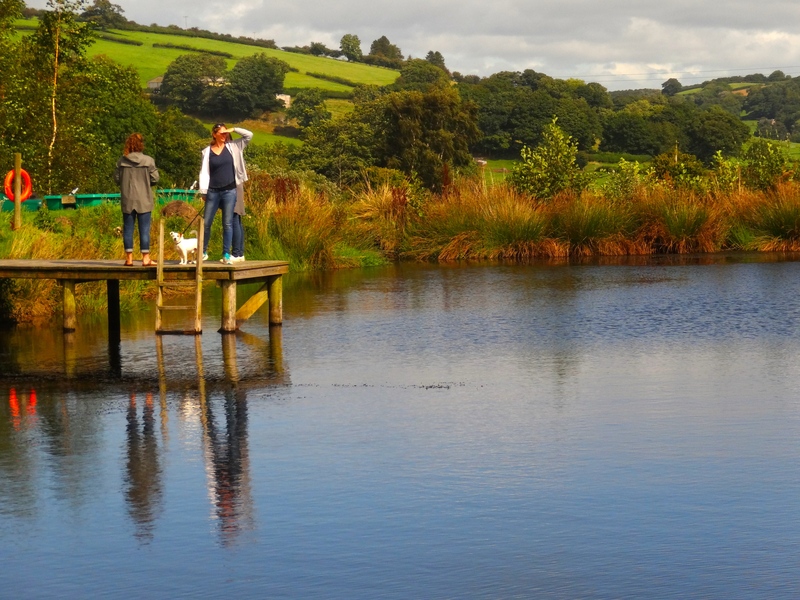 A perfect place for walking, Garth Barns is set in 200 acres of farmland with extensive views and plenty of walks in the hills and valleys right from the doorstep. The venue is on the long distance footpath the Glyndwr Way. Maps are provided and it may be possible to enjoy some led walks. An excellent local therapist, Kirsten McIver, is available for the weekend. Treatments, which are 75 minutes, are holistic and tailored to your own needs. Kirsten uses deep restorative massage (influenced by shiatsu), reflexology and cranio-sacral therapy in combination when needed. She also practices creative kinesiology. There is super-fast Broadband wi-fi on site. The Light, airy and spacious yoga shala has a wooden floor and is cosy and warm with underfloor heating from an eco-biomass boiler. It is fully equipped with mats, belts, blocks and bolsters. A deposit of £200 will secure your place. The balance is £385 for sharing twin or double; £325 for sharing a triple; and £445 for a single. All rooms are en-suite. The balance is due by August 5th 2019. The venue is easily reached by road or rail. The nearest station is Caersws, just over 10 minutes away. Trains run every two hours and there is a convenient train arriving just after 4pm. When you book we’ll let you know a handy tip which can save you more than 50% of the rail fare if you are coming via London… Taxis to meet the train cost £15 each way for 1- 4 people and £20 for 4 -6 people (divide the cost between the number of passengers). Travel by road from London via the M4 which is usually quicker than going via Birmingham. Diana Shipp is an experienced yoga teacher, with British Wheel and Sivananda teaching qualifications. She has been running holidays and retreats for the past 16 years – including at her own yoga centre in India: Kailasam Yoga. Holidays often book up fast – possibly because this is energising, holistic yoga for the mind, spirit and body – not yoga boot-camp! It is gentle but powerful yoga, suitable for all. Her style is fun, inclusive and imaginative with an emphasis on reaching the spiritual, and finding inner peace though the physical practice.